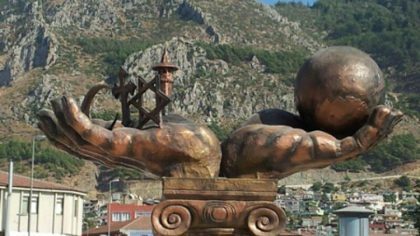 The city of Antakya is located 20 miles from the border with Syria and nestled in the mountainous region of Turkey’s southern Hatay province. This regions, a panhandle wedged between Syria and the mediterranean, is hailed across Turkey for its multiculturalism and tolerance. The province was part of Syria until Turkey officially annexed it through a referendum in 1939, and its population remains a microcosm of Syria -a mosaic of Christians, Jews, Sunnis, Alawites and Alevis. In recent years, though, wit war on its doorstep and an influx of 30,000 Syrian refugees, the province has taken on a reputation as a hub for fighters and a crossing point for foreign jihadis. The 2,300 years old Jewish community is today fading, but it is not the war that had driven away Antakya’s Jews. The exodus started back in the 1970s, when a wave of political violence swept across Turkey, creating an intolerable environment for the country’s minorities. 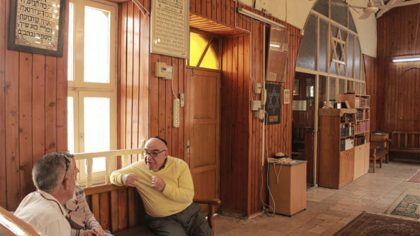 Thousands of Jews across Turkey fled to the country’s economic and cultural center, Istanbul, or overseas to find a better life. Antakya’s Jewish community never quite recovered. Forty years ago, there were several hundred Jews in Antakya. Today, there are about 15 left. The youngest is about 63. On the facade of the city’s only synagogue, a star of David is inscribed on the modest structure, which blends comfortably in the neighbourhood it has set in for the last 250 years, just across the street from a Mosque and a Catholic church. The door opens to an empty, small cobblestone courtyard with a few sparse trees and a plain stone building where the men gather to pray every week. The floor is made of marble, and a rich blue curtain with golden inscription covers the ark. The building was erected in 1890. Because Antakya is North of Jerusalem, the synagogue is built with the Torah Ark on the southern wall with a semi-circular apse. As the Jewish community has dwindled, Jews have become something of a novelty in this area, protected and supported by neighbours and by the local government. In 2014 for example, the municipality granted the community’s request for two unused apartments to be used as guesthouses, free of charge, for visitors on the shabbat. Jews have been an important part of the city since pre-Christian times, when it was knows as Antioch. Apostles Paul and Peter were among the early Christian leaders to visit the community -a mixed assemblage of Jews and Pagans whose members were the first to identify themselves as Christians, a new faith, wholly separated from Judaism. Strong relations between Jews and their neighbours go back for as long as the community can remember, to a time when Jews played an important role in the local economy, selling fabrics and clothing. Jews studied in Turkish schools, sold their goods in Turkish markets and shared in festivities with their Muslim and Christian neighbours. 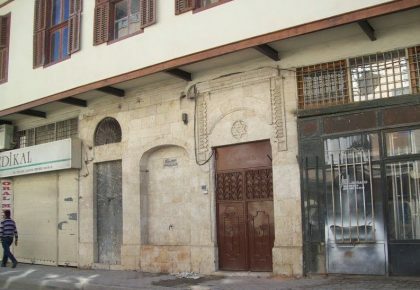 The Jewish community of Antakya retained close relations with Jews in Aleppo, with whom they shared cultural and ethnic ties until that community shrank following the establishment of Israel. Political tensions and war in Syria have turned the city into an unfriendly place for its minorities. In the tense environment, anti-semitism had reared its head. In 2015, the “Statue of Tolerance” was erected in one of the city’s main squares, with two hands raised toward the sky. In one hand is a globe, in the other was a crescent, a cross and a star of David. The statue was meant to celebrate diversity. But vandals repeatedly defaced the star of David. The religious symbols were promptly removed and -ironically- replaced with an olive branch. 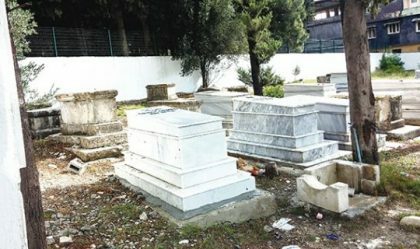 With the help of the municipality, the Jewish cemetery of Antakya, which had been neglected and ragged for some time is ongoing renovations. Michael Kaplan, “Jews Spent Centuries in Antakya, Turkey. Now, There’s Only 17 Left.”, The Jewish Daily Forward, October 28, 2014. Danya Chudakoff, “Turkey’s Jewish community longs for the past: With only 18 members remaining, Antakya’s Jewish community struggles to hold onto its rich history and culture.” Al Jazeera, May 14, 2014.